According to the film, all deities of the Hindu religion were the sons and daughters of the Goddess of Plenty, born from her womb – which is represented by the Earth. Sohum Shah of Ship of Theseus fame dives deep into the rich Hindu mythology to create Tumbbad, a horror movie that has received critical praise in the film festivals it was screened at. Directed by debutant Rahi Anil Barve, Tumbbad is set for release in India on 12 October. A teaser followed by a trailer of the movie hit the internet a few days ago and were met with unanimously positive reviews for the cinematography and the visual representation of the horror elements of the film. The reviews for the teaser/trailer were not surprising. Tumbbad was the first Indian film to be screened at the critic’s week section of 75th Venice International Film Festival. It was also screened at the 2018 Fantastic Fest and the El Gouna Film Festival. Audiences at the screenings were left spellbound by the visual narrative, the performance of the actors, the depiction of the embodiment of evil, and, above all, the plot. The film’s title is the name of the fictional place the story is set in. So, in the film, Tumbbad is a small village located somewhere near Pune of the 1920s and close to the mountainous regions around it. The plot, as the makers describe, revolves around three generations of a Brahmin family of the village who deal with the consequences set in motion after men built a temple dedicated to the first born of the Goddess of Plenty – a Devi whose son had turned into a demon. As the teaser/trailer shows, the demon (fallen God? ), Hastar, is not to be named for it brings misfortune to the people of the village. Sohum Shah, who plays the role of the protagonist Vinayak, is shown as a greedy man who covets a treasure guarded by Hastar. The trailer shows him descending into some sort of well inside a mansion, with walls of blood red colour, to hunt for gold. A harsh, crackling voice of an unseen old woman watches and entices the characters, which include Vinayak and a younger self of him, to the gold. One of the scenes in the trailer reveals the old woman as some kind of demonic entity. Branches and twines sprout forth from her chest as the entity lies on its back. Vinayak is seen conversing with the entity telling her that the only talent he has is greed. As the trailer progresses, we see people getting attacked by an unseen force as they enter the mansion to hunt for the gold. In the end, we see Vinayak burning with rage as he challenges an unseen Hastar. Tumbbad is shown as a gloomy village. The grey skies and constant drizzle make everyone and everything in Tumbbad look like they are in eternal mourning. The surreal yet depressing setting coupled with the gripping moments of heart-stopping scenes have made Tumbbad one of the most anticipated films of 2018. At the centre of the film, however, is a Hindu mythological tale around which the story has been constructed. Who is Hastar and the Goddess of Plenty? Hindu mythology is so vast and intricately intertwined that it is difficult to point out an origin of the religion. Unlike Abrahamic faiths, which speak of only one God and have a clear genealogy tracing to Abraham, the Dharmic faiths do not believe in one God and stress on self-exploration and pluralism in everything. Thus while Abrahamic faiths lay down a clear set of instructions for their followers, the Dharmic faiths, without a defined God, are based on the belief that the Universe and all the cosmic developments in it cannot be defined in strict terms. 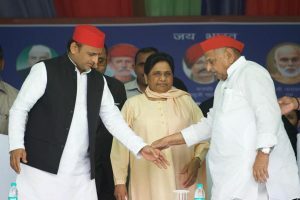 It is because of the pluralism that Hinduism – the largest and the oldest surviving of the Dharmic faiths – is believed to have around 33 crore deities. Tumbbad uses this mythological narrative with its many offshoots to present a powerful horror story that shows man as the principal sinner. The first born of Tumbbad’s Goddess of Plenty was Hastar. As the story goes, Hastar saw how his mother created wealth (in the form of gold) and food (in the form of grains) for mankind. But Hastar was greedy and coveted all of that for himself. His brothers and sisters – gods and goddesses all – allowed him to take control over gold. To the other gods, gold was a manifestation of greed and was useless for mankind’s enlightenment. But Hastar’s greed grew immeasurably. With gold firmly in his possession, Hastar went for the food. This time the other gods blocked his path, fought and destroyed him. Being a mother, the Goddess of Plenty took pity on Hastar and decided to save him…on one condition – mankind will never worship him and he will forever live like a banished entity. Eventually, the Goddess of Plenty ‘imprisoned’ him deep in the earth – her womb – where Hastar continued to live. As Tumbbad’s trailer says, the events of the film begin when man decided to build a temple to Hastar and worship him. The expansive Hindu mythology has space for all. More importantly, the religion itself has grown from the varied belief systems where no single god is superior to the other. Innumerable gods who were worshipped before are not worshipped now. Indra, for instance, was one of the major gods worshipped in Vedic times, praised in 250 hymns of the Rig Veda. Today, Indra, or a form of him, is worshipped in only a few parts of Tamil Nadu. In Hinduism, the prominence of gods is not important; what is important is the Dharmic way of life. It is this unique feature that makes Hinduism the largest religion in the world which actively practises pluralism in spirit. Thus whether Hastar existed in Hindu mythology or not is up to the believer. It is interesting to note that Hastar and the Goddess of Plenty connect Hindu mythology to Greek mythology and ancient Biblical gods such as Mammon. The word mammon, however, has its origins in antiquity. Mammon could have been a deity of wealth or a god of greed in the pre-Judeo cultures and religions of West Asia. 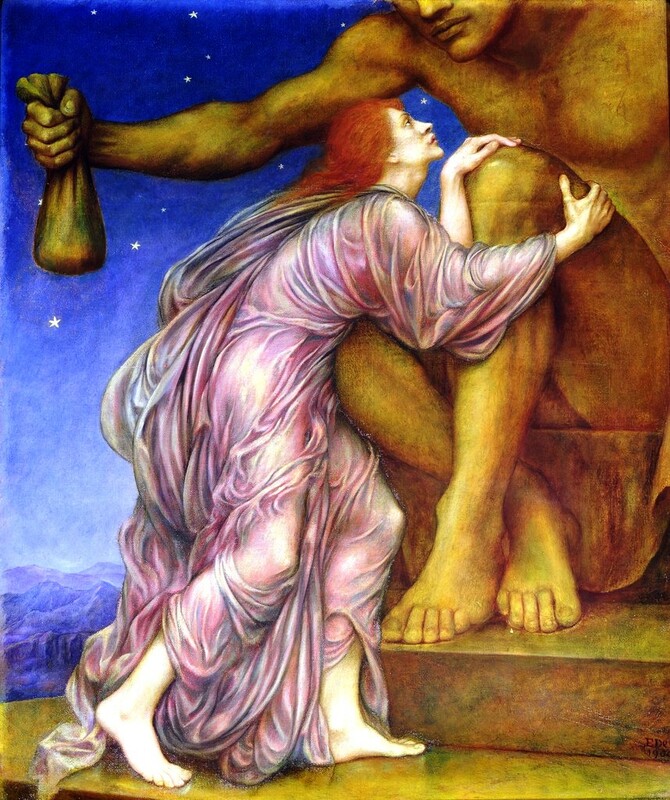 A 1909 painting by Evelyn De Morgan titled ‘The Worship of Mammon’ shows a woman falling at the feet of a semi-visible entity as he holds out a small pouch, apparently containing gold, which the woman seeks. Thus Hastar is quite like Mammon. Tumbbad’s Goddess of Plenty appears similar to Greek mythology’s Gaia – the personification of Earth who gave birth to the Titans, who, in turn, gave birth to the legendary Greek gods including Zeus. Hindu mythology, too, has a mother of gods – Aditi. According to Hindu mythology, Aditi gave birth to all the Rig Vedic gods (known as Adityas) including Indra and, according to some texts, Lord Vishnu’s Vamana avatar. Ancient Greek, Roman, Egyptian and Sumerian religions had a lot of similarities with Hindu religion. Thus all the religions have a somewhat common origin story featuring an all-powerful goddess and the cosmic manifestations. 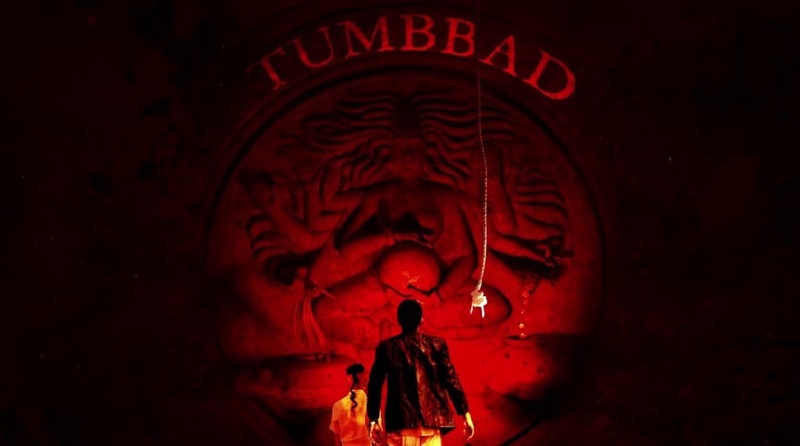 Tumbbad apparently shows the insatiable greed in the hearts of the humans and how he-who-is-evil can manipulate that greed to satiate his own thirst. Parallels can be drawn with the real world where humans kill each other out of greed, compounded manifold by a nihilistic pursuit of material things that trigger a torrent of other evils. Whether or not the residents of Tumbbad and the Brahmin family escape the grip of Hastar is what will be revealed in the film. What is certain is that Hastar lives on in the real world.